Can You Make It As an Artist in 2018 Without Constantly Plugging Yourself on Instagram? It can be bad for art, but it can also be bad for artists. Crespo says Instagram was negatively affecting his spirituality and mental health. The reward systems are addictive. Artist Jake Borndal quit posting to Instagram when he quit smoking. A drug analogy might seem a bit played out, but biologically a “hit” of likes isn’t all that different from a hit of nicotine. When you check your phone, a rush of dopamine floods your brain and that instant gratification can drive compulsive behavior. Social media addiction isn’t a problem for artists alone, but if the role of the artist is to create, share, and contribute beyond existing boundaries, then the question of whether Instagram offers a new way to think or just produces new limits or anxieties is especially critical. Instagram is really “not a creative space,” as Borndal puts it. Maybe selfies are what happen when a society sends a missive without a recipient. Like the interstellar radio broadcast “A Simple Response to an Elemental Message,” which sent human fears about the earth’s environmental destruction out into the universe and toward possible extraterrestrial life, self-portraiture today does not communicate unique truths so much as it reflects collective anxieties. But I don’t mean to bemoan social media (boring, it’s been done, everyone’s worried but no one will change). Really, I want to use that labyrinth to try to find a route back to an entirely different type of self-portraiture, one that offers an alternative (and more positive) interconnection between character, work, and the female subject. These places are often described as “Instagram Museums,” and the real experience plays out only after we post photographic evidence on social media. The internet is an increasingly visual space, and these museums, with their enormous pools of candy and gargantuan emoji props, are designed to fit the shrunken-down Instagram grid. What’s the point of anything else? 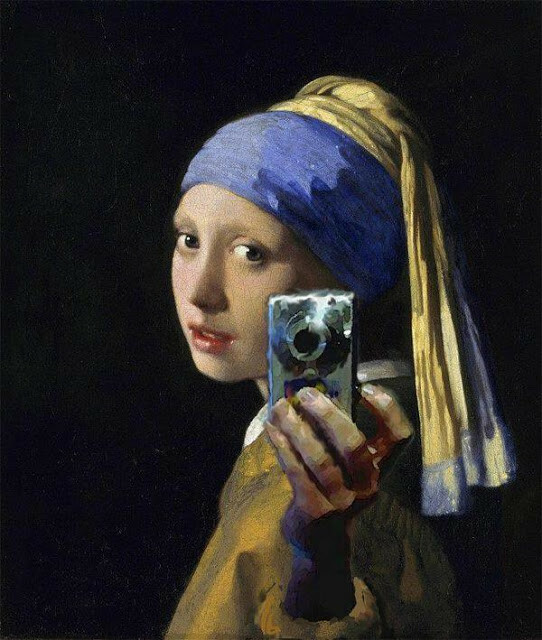 Increased visitor photography at galleries and museums has proved controversial at times. Recently a visitor to Los Angeles pop-up art gallery The 14th Factory destroyed $200,000 worth of crown sculptures. The sculptures rested on top of a series of plinths, and while attempting a selfie the visitor fell, knocking the plinths down in a domino style chain reaction. Banning photography on the basis that it interferes with the visitor’s experience could be seen as cultural elitism; expressing a view that art can only be appreciated in an orthodox manner. It also ignores the potential of Instagram to bring a new dimension to artists, curators, exhibition designers and visitors. This finding was echoed in a larger study that focused on Sydney’s Museum of Contemporary Art. 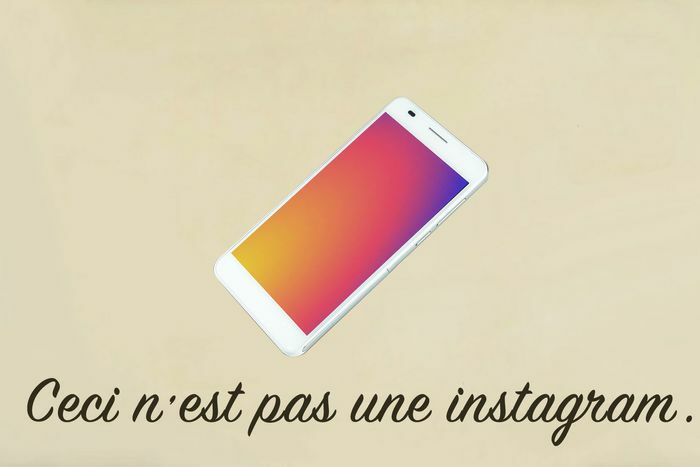 Far from the narcissistic selfie-obsessive behaviour that much media coverage insists is occurring, Instagram offers visitors authority and agency in sharing their experience. This connects audiences with museum content in a way that they can control and is meaningful to them. New research shows how this activity is also tied to place – the museum, and the city beyond it. 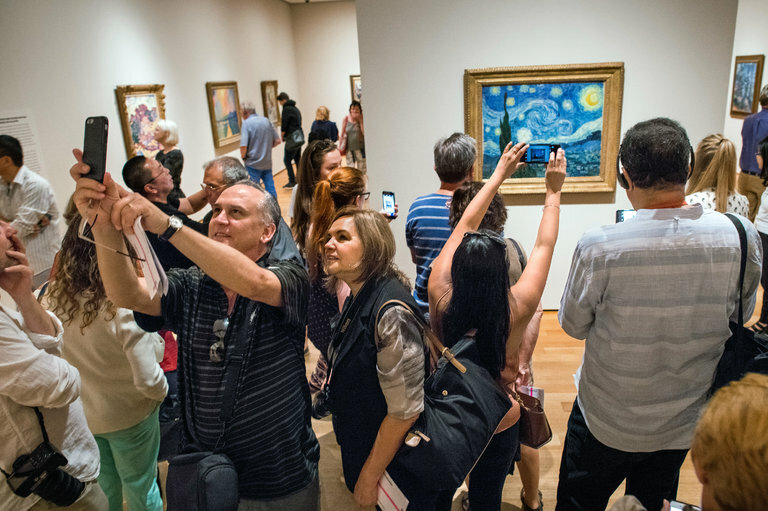 The city’s summer tourist season is ending, but visitors still crowd four and five deep in neck-craning hubbubs, brandishing phones to take close-ups and grinning selfies and somehow partake of “Starry Night,” the van Gogh masterpiece at the Museum of Modern Art. The crowds were ceaseless all summer, as they are much of the year — bobbing, weaving, snapping away, denying quiet contemplation. They puzzle no less an art lover than Ann Temkin, the chief curator of painting and sculpture, who has watched the “crazy magnetism” of the painting and her beloved Vincent grow ever since cameras first appeared on phones.